I am going to probably post longer reviews of these later, at least the ESV Study Bible. In the meantime, here are my initial opinions of three of the latest study bibles to release to market (in chronological order). 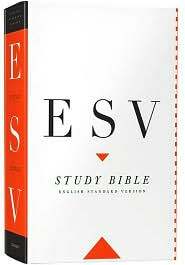 The NLT Study Bible, NIV Study Bible, and ESV Study Bible are all at the very, very top of their game. All three are of the “comprehensive” stream of study bible style, meaning they wish to cover a lot of areas, not just one particular feature or use of the Scriptures (such as the Literary Study Bible, Archeological Study Bible, Apologetics Study Bible, or Chronological Study Bible would do) or from one narrow theological perspective (such as the Reformation Study Bible, the MacArthur Study Bible, the Scoffield Study Bible, or the Ryrie Study Bible do). As such, they function in the context of a good bible handbook, commentary, hermeneutic guide, and historical study, as well as the occasional devotion prompter. Before I go further, know that I would highly recommend any of these three to any member of a church congregation. They are, simply, the best study bibles on the market. I was much more impressed with this one than I ever thought I would be. It is a great, fairly comprehensive study bible. It is first and foremost for the layperson, but the notes are by accomplished scholars from a variety of evangelical backgrounds (including senior SBTS professor Robert Stein). Like the New Living Translation itself, the notes are easy to read, yet deep. I cannot find a place where I wholly disagree with the annotated explanation of a passage, and the introductions are likewise as scholarly as they are practical. An interesting feature, now found in the other two study bibles as well, is a “literary features” section in the intro to some of the books. The pages are well-organize , though I wish the articles and notes were in a different font than they are, but altogether this is a great work. 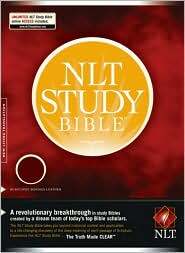 Therefore, for someone who enjoys the NLT translation and wants to grow in their walk with God, I wholly endorse this study bible. The very best currently existing review of this study bible I know of is by my friend, fellow seminarian, Sojourner, and coworker, Bryan Lilly. Okay, this one isn’t new, but the current edition is, and deserves to be included as a new study bible. This was my first study bible, in its 1996 edition, and it has recently gotten better. It is even more comprehensive than it used to be, with 5,000 notes more than the last version, and with its previously existing notes totally revised to be in accord with the most current scholarship. New features have been slipped in, such as some color maps and a “literary features” section in some of the book headings. With over 20 years under its belt, it still holds up well with its competitors. Great evangelical scholarship and extensive notes has made this study bible the one to beat for years. 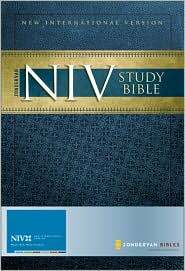 This new edition is currently only available in the NIV (a good dynamic-equivalent translation which is certainly the most popular in the world), though the previous edition (2002) is also published as the Zondervan NASB Study Bible and the Zondervan KJV Study Bible. I never thought a study bible would surpass the NIV Study Bible. It did. This one is the most comprehensive, attractive, theologically astute, and helpful study bible I have ever come across. It will be helpful to both the seminarian and the layman, the apologist and missionary, the new believer and the church elder, without condescending in tone or content. I have only had it in my possession for about three hours, but those three hours have been amazing. The full color maps and architectural illustrations, the extensive introductions (again, including this “literary features” section, this time written by ESV literary stylist and Bible-as-Literature guru Leland Ryken), and the extensive articles throughout are deep and enriching. Several SBTS scholars worked on this (including Dr. Tom Schreiner as the New Testament editor), as well as many other noted scholars from other schools we hold in high respect. This is one I am for certain going to write a longer review on. For now, read the awesome review on it by Tim Challies, with which I agree.